The “Boy Code.” Have you heard of it? Man up. Boys don’t cry. Don’t be a pansy. Boys hear these messages, and worse, on a daily basis. When the most praised emotions are anger, aggression and pride, the most likely outcomes are illness, addiction, and violence. This mandated performance of hyper-masculinity prevents close relationships by masking boys’ authentic selves. And it’s killing them. Ninety men in the U.S. commit suicide every single day, four of whom are boys under the age of 19. We have to break this Boy Code, and with the help of The Dublin Community Foundation, Let Me Run is doing just that. To thoroughly explain what I mean by that, we first have to take a jog down memory lane. It was early 2015 when Dublin resident Claire Houpt kept hearing about Girls on the Run and the impact it was making on girls across Central Ohio. As a mom of two young boys, Claire assumed there would be a program for boys, too. A program that combines physical activity with a curriculum that amplifies confidence, self-expression, and respect for others. After all, girls AND boys deal with negative messages every day about who society says they are or should be. Shouldn’t all kids be allowed to be themselves, be active, and feel like they belong? Claire’s search for a local program came up empty. But she was encouraged when she found Let Me Run in other states and contacted the organization asking how she could bring the program to her son’s school, Deer Run Elementary. 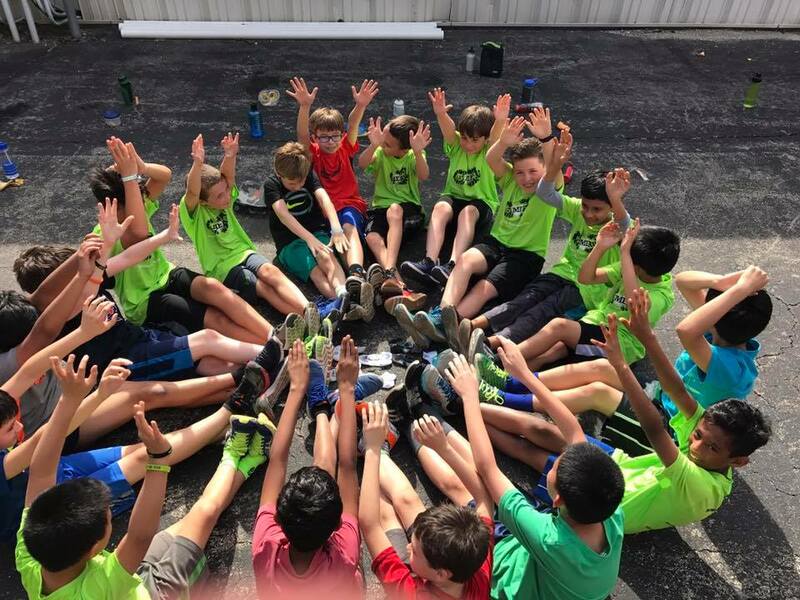 Fast-forward to April 2016, Claire’s passion for this life-changing program helped her spread the word and reach over 100 boys on several teams in the Dublin City School District. After seeing the growth, Let Me Run national hired Claire as the Regional Director of Let Me Run Columbus. Ecstatic about the opportunity, Claire delved into the unknown world of running a non-profit organization. She hit the ground running and the region had a season-to-season growth rate of over 100% for the first 4 seasons. However, she quickly realized that to continue this growth and expand into surrounding suburbs and Columbus City Schools, she would need money to give scholarships to boys who couldn’t financially afford to participate. This is the time that the pause button could have easily been pressed. Being that the program got its start in Dublin Schools, Claire turned to The Dublin Community Foundation for support. Let’s fast-forward again to Fall 2016. The Dublin Community Foundation saw the impact and potential of the program and awarded Let Me Run Columbus their very first grant. A smaller secondary grant was awarded in 2017. These grants, in essence, gave Let Me Run Columbus their start in expansion across the Columbus region. A majority of the grant money was used to give scholarships to boys in Title 1 schools across Central Ohio. 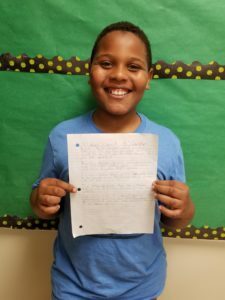 Boys who normally wouldn’t have the opportunity to participate in an after-school program would now have that opportunity. One of those schools is here in Dublin: Daniel Wright Elementary. One of those boys is Carlos. Carlos had never run before joining a Let Me Run team and in his words, just sat on the couch and played video games. As he progressed through the season, he realized that running and being fit (physically and mentally) became something that was important to him as well as his family. “Running is good for you and running is a good sport. It is fun for all ages. Running helps you be fit and the more you do it, the more you get used to it. I’ve run more than eight laps before. And to be honest it was pretty hard but I pushed myself and I did it. And every time I run my mom asks me how it is. And when I tell her how much I ran, she is so proud of me. Let’s hit fast-forward one more time. Present time. 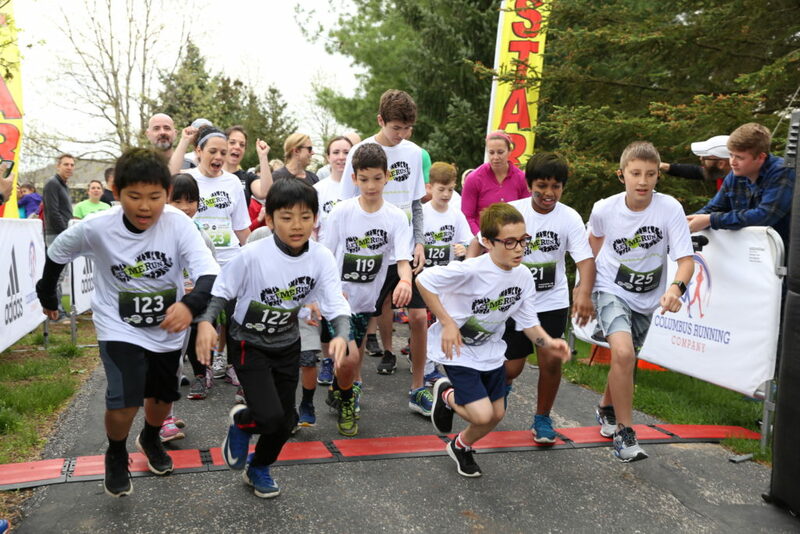 Let Me Run Columbus has grown to reach more school districts including Dublin, Hilliard, Upper Arlington, Plain City, New Albany, Pickerington, South Western City, Columbus City, and several Rec Centers and YMCA’s. They will celebrate the 2nd annual SpringFest 5K in May 2019 with over 500 participants. And probably most exciting, Let Me Run Columbus will reach its 1,000th boy this Spring! I wish we could press fast-forward a couple more times right now. I wish we could see how many more boys will get to experience this program that gives them emotional and social health, self-esteem, respectful attitudes, and lasting friendships. I hope the statistics will continue to show what they are showing now…that Let Me Run significantly improves boys’ attitudes and behaviors associated with healthy masculinity, increases vigorous physical activity levels, improves social competence, and reduces screen time on school days. What I do know is that pressing rewind isn’t an option for our young boys. We can’t go back to letting our boys mask their authentic selves. The boys of today are the men of tomorrow. With the help of organizations like The Dublin Community Foundation, Let Me Run will continue to grow and more boys will experience a life free of the Boy Code. Let Me Run is a nonprofit holistic health program for 4th through 8th grade boys. Using running as the vehicle to inspire, teach and reach boys, our comprehensive curriculum breaks down destructive male stereotypes that often stand in the way of positive futures for boys. Twice a week for seven weeks, our trained coaches guide teams of six to fourteen boys through the program, designed to amplify confidence, self-expression, and respect for others. Each fall and spring season culminates in a 5k race that celebrates the boys’ emotional, social and physical growth.